In the modern age of CS:GO, we are seeing a shift in generations. Legends of the past are slowly fading as new stars are rising. The iconic symbol of this transition was the fall of Virtus.Pro. The Poles competed at elite levels year upon year through their ability to adapt, learn, and evolve. Once they stopped evolving, they faded away into obscurity. We’ve seen many players fall in this as they were unable to adapt or change their style of play including: Gabriel “FalleN” Toledo, Christopher “GeT_RiGhT” Alesund, Janusz “Snax” Pogorzelski, and Vincent “Happy” Cervoni. It is in this context that we can appreciate what makes Jesper “JW” Wecksell’s recent run at StarSeries i-League Season 7 so amazing. For the last three years, JW has been searching for himself, to become JW once again. At that tournament, we saw the resurrection of his old self, the one that terrorized teams from 2013-2015. If there was any single moment that could encapsulate the JW style, I’d say it was a particular play from ESL ESEA Dubai 2015. JW merrily skips through the molly at long doors, pushes out, kills Andreas “Xyp9x” Hojselth, and then jaunts back to safety. It feels more like a Looney Tunes skit than an actual CS:GO round, but it crystallizes the essence of what made JW on that Fnatic so great. At the time, JW was the primary AWPer for Fnatic and he played the wildcard role on the team. This allowed him the freedom to utilize his unorthodox game sense and surprise enemies with moves that left you in equal states of bemusement and awe. 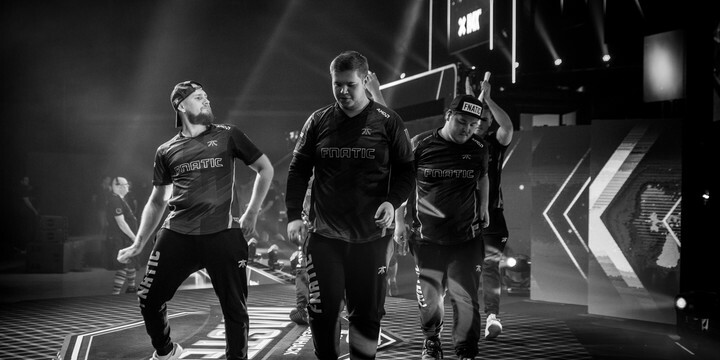 This style was supported because of the system and balance of players that Fnatic had with a roster consisting ofMarkus “pronax” Wallsten, Robin “flusha” Ronnquist, Freddy “KRIMZ” Johansson, and Olof “olofmeister” Kajbjer. The other four players on the team created a baseline of consistency and teamplay that naturally allowed for JW to make his individual plays. Olofmeister was their superstar player that made the consistent aggressive play. Pronax was the in-game leader. KRIMZ was a rock whose supportive style synergized perfectly with the rest and flusha was a smart passive player who liked to play for the mid-late rounds. This balance of roles allowed JW to have free reign to be the wildcard player. He didn’t have to worry about being picked off because he had complete confidence that even if he died doing one of his plays, the rest of the team could still win it out. At the same time, his plays caused an unquantifiable amount of psychological pressure for the other teams as they could never figure out when or where he was coming from. When JW was on form, he became the most entertaining player in CS:GO to watch. However, the Swede slumped due to falling form, the disintegration of Fnatic, and teams learning how to play against him. The next three years of JW’s career were a search for his own identity and role as he tried to come out of his slump. There are multiple reasons as to why the slump happened. The first and most often cited opinion among pros was that the scene was becoming more competitive. There were more players, more teams, and a constantly improving infrastructure. The second reason was that teams learned to play against JW’s instinctive plays. This was only exacerbated as utility usage was refined as time went on. The third reason was that JW never had to systematically figure out what his style of play was. The wonderchild had broken into the CS:GO scene shocking the world with his aggressive instinctive play back in 2013 when he was only eighteen years old. At that age, it’s unlikely that JW ever consciously made a decision as to what his playstyle was. Like many other pros, he did what came naturally and what got him wins. Now that he was facing a slump, he had to learn what it was that had made JW JW and adapt it for modern Counter-Strike in the process. This search for identity and role became even more complicated as the lineup changed. At the end of the pronax-led roster, JW’s form was already dropping off. While he had impact as a wildcard player, it was becoming less effective as time went on. Things came to a head in late 2015 when Fnatic did removed pronax for Dennis “dennis” Edman. While dennis was a brilliant player, his natural specialty clashed with JW’s. Dennis was an aggressive space-maker who had an intrinsic sense of when to push to catch opponents off guard. In the ensuing clash of roles, Fnatic decided that JW was the one who needed to change. This was later confirmed in an interview between Tomi “lurppis” Kovanen and former Fnatic coach Viktor “vuggo” Jendeby. In the server, this equated to JW maining the shotgun while the AWP was tossed between the other four players of the team. “I just want to be JW again” is the theme for the rest of the Swedes career. The question that hehad to ask himself at that point in time was what made JW JW? It was a tautological paradox. He was JW – how could he not be JW? In order to answer the question, we have to first look at how CS:GO pros model the game. It’s a complicated task as there is no consensus and it varies wildly depending on who you ask. Nicolai “HUNDEN” Petersen uses DOTA 2 terminology as he describes his players using the one -through-five model and called his support player the “four” position. Before Snax joined Mouz, he said that there was no such thing as a “support” role, only attackers, lurkers, and AWPers. Some go further and state that there are only two roles in CS:GO: AWPer and rifler. Even the idea of an AWPer as a role is a misnomer and one that JW fell into. When the Swede left Fnatic, he believed that JW was an AWPer and that an AWPer was JW. This was only a partial truth in that his preferred weapon of choice was the sniper rifle. JW is a wildcard player. There is a distinct difference between those two and to understand why, I’m going to compare him to his peers. Among the best AWPers in the world you have players like Nicolai “dev1ce” Reedtz, Oleksandr “s1mple” Kostyliev, Tomas “oskar” Stastny, Ladislav “GuardiaN” Kovacs, and Kenny “kennyS” Schrub. While all of them have playmaking potential, none of them are defined by that facet of their play. All of them, even s1mple, the mostrule-defying AWPer we’ve ever seen, understand that there are times when all they should do is hold an area or angle and let the rest of their team make the aggressive plays. What would a Swedish CS:GO superteam look like? If I were to compare JW to other players, he reminds me of wildcard riflers like Jake “Stewie2K” Yip or Fernando “fer” Alvarenga. Even that isn’t a completely apt comparison: the American plays with a frenetic energy as if he is waiting to explode out of a smoke at any moment. The Fer of 2018 played more like a battering ram, an eternal aggressive force that smashes his opponents. JW’s best plays have him floating like a butterfly, stinging like a bee, then skipping his way back home. So when JW first began the search for himself, he assumed that he was meant to be the main AWPer. While there were glimpses of the past JW, he was never consistent or good enough to make a full on resurrection of his old style of play. He struggled to find his identity both in GODSENT and in the subsequent Fnatic reunion. In the Maikil “Golden” Selim-led Fnatic lineup of 2017-2018, he started to change. While he continued to be an AWPer on the CT side, he started to focus more on the rifle on the T side. On maps like Mirage, he became one of the riflers that contested map control and he was the toilets lurker on Overpass. While the role didn’t fit JW perfectly, it gave him a hint towards the direction he should move in. JW realized that the AWP in its current state in the metagame did not give him the freedom he needed for his preferred style of play. JW was someone who needed a level of mobility to be effective and from 2017-2018 onward, the space of an AWPer was restricted as utility was focused on nullifying their typical positions. So when Fnatic made a roster change in 2018, they decided to remove Golden for Richard “Xizt” Landstrom and Jonas “Lekr0” Olofsson for William “draken” Sundin. The initial plan was to have draken take on the AWP role while JW became an aggressive space-making rifler. The move didn’t work out for multiple reasons. The team itself had quite a few problems as flusha had lost motivation and draken’s AWPing wasn’t consistent enough to build a stable CT side. For Fnatic and JW, the answer eventually came at the end of 2018 in the form of another roster shuffle as they added Simon “twist” Eliasson and Ludvig “Brollan” Brolin. The current Fnatic roster is one of extremes. They have been to six events together: IEM Chicago, PLG Grand Slam, iBUYPOWER Masters, the Katowice major, WESG 2018 and StarSeries i-League Season 7. Among the premier tournaments, they got a top four at IEM Chicago, bombed out in 20-22nd place at the Major and reached the finals in Shanghai. When this roster is at its best, it looks to be the best iteration of Fnatic since thelineup with dennis 2016. For JW, the current system allows for JW to be JW again. The team chemistry seems to click and the combination of KRIMZ, brollan, and Twist creates a solid baseline of consistency for the squad. KRIMZ has become such a solid superstar that JW has free license to make as many wildcard plays as he wants. Finally, the addition of twist adds a secondary AWPer who does the consistent hold-an-angle type of AWPing that JW can’t do. As such,, JW continues to be the AWPer on maps where he has a lot of room to maneuver and find picks. Both Overpass and Mirage fit that archetype. On maps where the AWPer is more likely to hold an angle for the team, Fnatic give the AWP to twist and let JW run rampant on the rifle. While the roles and weapons have changed for JW, the essence of this playstyle is the closest we’ve seen to the original. Among the various rounds that were played out, the one that exemplified this the most was a round on Mirage against North. The 20th round broke into chaos as one of the Fnatic players died and dropped the bomb on catwalk. In response JW lurked into B apps where he got into a firefight. Both players disengaged and JW continued to lurk into the site. As the clock ran down, Fnatic became more and more desperate to make something happen. JW did the ultimate JW move as he did a deep lurk from the B site to ticket and back to connector. The move caught the North players off guard as JW was able to kill Markus “Kjaerbye” Kjaerbye on the flank, out-mindgame Casper “cadiaN” Moller and finish off Phillip “aizy” Aistrup in 16 seconds. What is remarkable about this 1v3 was the minute psychological openings that JW exploited. When he lurked into the B site, one of the North players commed to cadiaN that JW was in spawn, so he had to stay near the murder hole in case the Swede pushed through. This allowed for JW to make the long lurk that caught Kjaerbye off guard. After killing him, he traded fire with aizy and then threw a flash in connector. With such little time left, a normal player would have tried to chase down aizy to finish the kill as win by elimination was the only option for the Swede. Instead of tunnel-visioning on him though, JW recognized the fact that his earlier lurk into B site meant that it was likely that the other remaining North player was in window as they had to cover the bomb on catwalk and cover murder hole. By throwing the flash, he focused cadiaN’s attention on connector before swinging around and killing him. He then finished off aizy as there was only one place he could hide. The speed, the elegance and the sheer cunning made it a vintage JW play. It has been years since I’ve seen this JW come into the server: someone whose plays are as deadly as a viper, but still have the the whimsy and elegance of a butterfly. What makes this return even more exciting is that JW’s form didn’t just last for one map or one series, but throughout the entire tournament. Fnatic played fifteen games in their StarSeries run and JW continued to electrify the crowd with his wildcard plays on the AWP and rifle throughout it all, which indicates that he can consistently keep playing at this level for the foreseeable future. Though he may not be the superstar of the squad (that honor belongs to KRIMZ), he is once again the JW of old. The Swede’s long three-year search for himself has ended, and the vintage JW has returned. Join the Rivalry VIP Rewards Club! 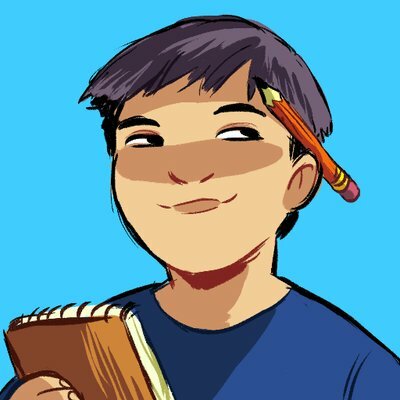 Esports writer in search of the play. Does anyone know where DeadFox is?